Young woman shot minutes before Super Bowl | Homicide Watch Boston | Mark every death. Remember every victim. Follow every case. On the eve of Super Bowl when Boston was preparing for the unexpected, a young woman was shot to death minutes before the game. The police who responded to a radio call around 6pm of a possible shooting at Juliette Street in Dorchester, found two injured people at the crime scene. A teenager, injured due to some flying glass due to the impact of the shooting and a young female in her 20s who was shot in the head, were found at the crime scene. Both the victims were transported to the Boston Memorial Hospital but the female victim was declared deceased at the hospital. The police later identified the female victim as one Brianna Hardy. Brianna Hardy, 22, who was a rapper known as Breezy, was in her car when she was shot in the head, in what the police are calling a “targeted” fatal shooting. Hardy’s death is the forth homicide this year. Her death marks one of city’s rare female homicides. According to the police, of the 44 homicides in 2016, only three victims were female. The Boston Police Department is actively investigating the facts and circumstances surrounding this incident. 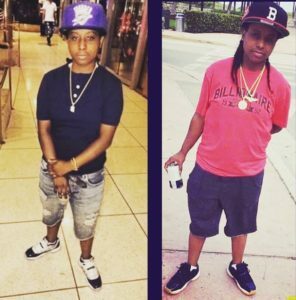 Anyone with information is asked to call Homicide Detectives at (617) 343-4470.